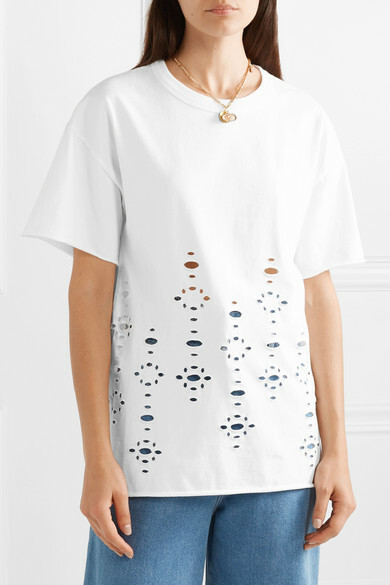 See By Chloé's T-shirt is purposely cutout to give it a vintage lived-in look. 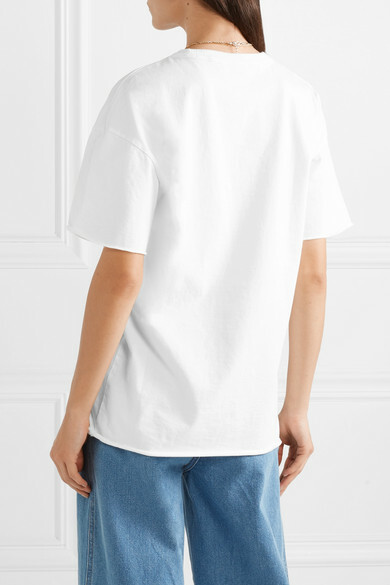 It's made from soft cotton-jersey and has a loose, oversized fit. Wear it tucked into jeans, rolling the sleeves for the coolest take. 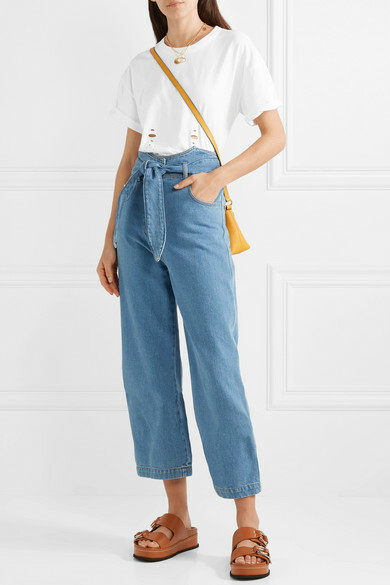 Shown here with: Nanushka Jeans, See By Chloé Shoulder bag, 3.1 Phillip Lim Slides, Alighieri Necklace, WALD Berlin Necklace.